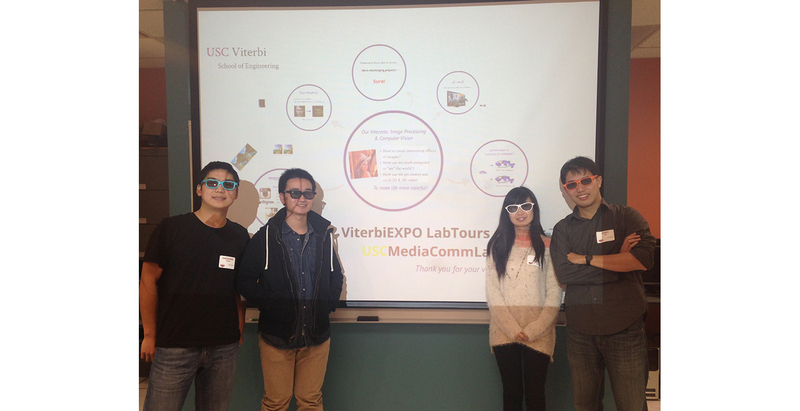 The Multimedia Communication Lab actively participated in Discover USC, an open house held for prospective students on November 24th. As one of the largest programs, MCL lab tour aimed at explaining our research and achievements to prospective students who might be interested. To make the tour more fascinating and easy to understand, interesting special effects filter, face warping videos, super resolution images, as well as 3D images and video clips were demonstrated. Many parents and students showed great interests in our research topics and asked a lot of questions during the tour.